Home Drinks CBD SOL Global (SOLCF) Acquires 3.3 Million Shares of Jones Soda (JSDA). SOL Global Acquires 8 Percent Stake in Iconic Soda Company Jones Soda. TORONTO , March 26, 2019 /CNW/ – SOL Global Investments Corp. (“SOL Global” or the “Company“) (SOL.CN) (SOLCF) (9SB.F) is pleased to announce its investment in leading premium soda-maker Jones Soda Co. (“ Jones Soda “) (JSDA). SOL Global has acquired 3,396,049 common shares of Jones Soda in the open market. SOL Global’s total investment represents approximately 8.19% of the total issued and outstanding common shares of Jones Soda which, based on publicly available information, makes it the company’s largest stockholder. SOL Global has filed a Schedule 13D with the United States Securities and Exchange Commission describing its investment in Jones Soda . The Seattle -based Jones Soda Co., founded in 1986, is known for its wide variety of flavored craft sodas, made with pure cane sugar and other high-quality ingredients. The company’s most recent product launch, Jones Ginger Beer – as well as two new sugar-free soda flavors – join its core brands including its Jones Soda product line, Jones Carbonated Candy, and Lemoncocco, a premium non-carbonated drink made with high-quality lemon and coconut flavors. Jones Soda is sold in eye-catching glass bottles and cans and in fountains at restaurants and is distributed throughout North America . The company continues to innovate its core brands as demand for healthier sodas that contain high-quality ingredients grows and has also redeveloped the majority of its product line using colors derived from natural sources. SOL Global believes there are numerous operational and strategic opportunities to maximize shareholder value in Jones Soda . SOL Global will review its investment in Jones Soda on a continuing basis and reserves the right to take any action with respect to its investment it deems appropriate, including, but not limited to, purchasing additional common shares of Jones Soda , selling some or all of the common shares that SOL Global holds, or otherwise modifying its investment strategy with regard to Jones Soda . The non-alcoholic beverage marketplace is estimated to generate a revenue of approximately USD$1.2 trillion by 2023, according to Markets and Research analysis. Companies employing innovative marketing strategies, more flavor choices, and the use of natural, high-quality ingredients will continue to drive market growth in the category. 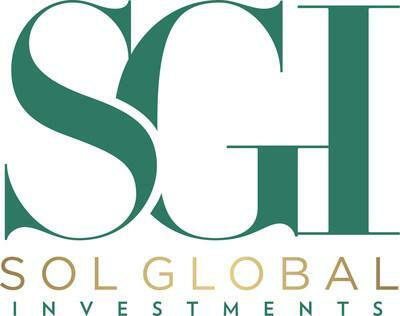 SOL Global is an international investment company with a focus on, but not limited to, cannabis and cannabis related companies in legal U.S. states, the hemp and CBD marketplaces and the emerging European cannabis and hemp marketplaces. Its strategic investments and partnerships across cultivation, distribution and retail complement the company’s R&D program with the University of Miami . It is this comprehensive approach that is positioning SOL Global as a future frontrunner in the United States’ medical cannabis industry. Previous articleTop Beverage Companies for 2019. Including CBD and THC Infused. Next articleVertical Companies Smokin With $58 Million Series A!